Home Spy Apps SniperSpy Review: Is The App Really Works? SniperSpy Review: Is The App Really Works? How Does SniperSpy App Work? What Features Does SniperSpy Have? Is It Legal To Use SniperSpy? Parental control tools became the must-have apps for any digital parent. In the world where everything evolves quick, it is important to stay updated on the changes in your child’s life. Whether they are tweens or teens – kids need to be monitored. With the vast choice of monitoring software, you can try the best one. To provide our readers with the most reliable information, we analyzed many SniperSpy reviews and examined the app thoroughly. Look through the SniperSpy review from Truth.Best to find out how it works. SniperSpy is the spying software, which is created for remote device monitoring. 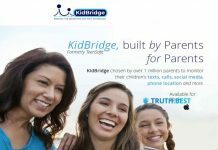 It helps parents to track the online activities of their kids and offers employers an effective way to control company-owned devices. Retina-X Studios provided the software for SniperSpy. After developing spying tools for many years, Retina-X Studios has been hacked in 2018. As a result, the PC developer has discontinued their services, including SniperSpy. Our review outlines the features provided by SniperSpy app when it was offering their monitoring services. SniperSpy starts monitoring the activities after you install it on the target computer. It may be the computer of your child or your employee. SniperSpy reflects the collected activities in your online control panel. To check the activities, you need to log in to your SniperSpy account. Pay attention that the feature “Show Icon and Notifications” is enabled by default. But you can turn it off any minute when installing SniperSpy on the target computer. To launch the hidden SniperSpy software you will need to enter the special key combination. SniperSpy tracks all the activities performed on the computer by capturing screenshots and monitoring the keystrokes. SniperSpy collects the URLs of websites visited in Internet Explorer and Firefox. You can easily find out what type of content your child searches for. You can limit the use of some apps on the target computer with the help of SniperSpy. Create blacklist to prevent someone from visiting certain websites. SniperSpy allows you to control multiple computers in a single account. The app shows detailed information about each of the PCs. The SniperSpy app will send profanity alerts whenever the profane words or phrases are used in chats. However, the feature is only available on Mac. To install SniperSpy, you need to register your account on the website and purchase the license. After your purchase is confirmed, you will receive a license registration code. Add the code in the field provided to download the software. Find the SniperSpy icon, open it and install the software. Adhere to the on-screen installation guidelines. After installation, the app icon will appear on the desktop. SniperSpy will trigger the notification that the computer is being monitored every time the PC starts. You can disable the notification in the settings of your profile. SniperSpy starts monitoring the activity few hours after the installation. Log in to your SniperSpy account after some time to check the collected info. SniperSpy warns their clients that to use their monitoring software legally, one must inform the person that their device will be monitored. Written consent of the monitored child or employee is also a requirement. SniperSpy is a well-designed application for computer monitoring. But, it is very limited in features and tracking options. The cost of a yearly SniperSpy license is $79.97. Since the software is unavailable and there is no information whether SniperSpy is going to provide monitoring services in the future, you can’t give this parental control a try. There is some news for current SniperSpy clients. The Retina-X Studies guarantees refunds for their subscribers. To sum up, let’s look through some pros and cons of the SniperSpy app. We can’t recommend you to try SniperSpy because it doesn’t offer monitoring services anymore. You can always opt for some effective parental controls rated high.